Those who walk righteously and speak what is right, who reject gain from extortion and keep their hands from accepting bribes, who stop their ears against plots of murder and shut their eyes against contemplating evil— they are the ones who will dwell on the heights, whose refuge will be the mountain fortress. Their bread will be supplied, and water will not fail them. Your eyes will see the king in his beauty and view a land that stretches afar." Who Among us Will Survive The Lord's Presence? 33:14 Isaiah now speaks to the unrepentant Jews in Jerusalem These are Jews who had rejected Isaiah’s message and now have seen it come to pass. Suddenly they realize they cannot endure or live in the presence of this holy God. Whenever God manifest himself the first thing people sense is a feeling of sinfulness. God revealed in his glory our need for righteousness becomes the focus of our thoughts, then our statements and ultimately our actions. See Isaiah’s reaction to God in Isaiah 6:5 God’s character and God’s power cannot be separated. Isaiah 33:15 Who can survive the appearance of God? This man “will never be shaken.” Psalm 24:3-6 “Who may ascend the hill of the Lord? 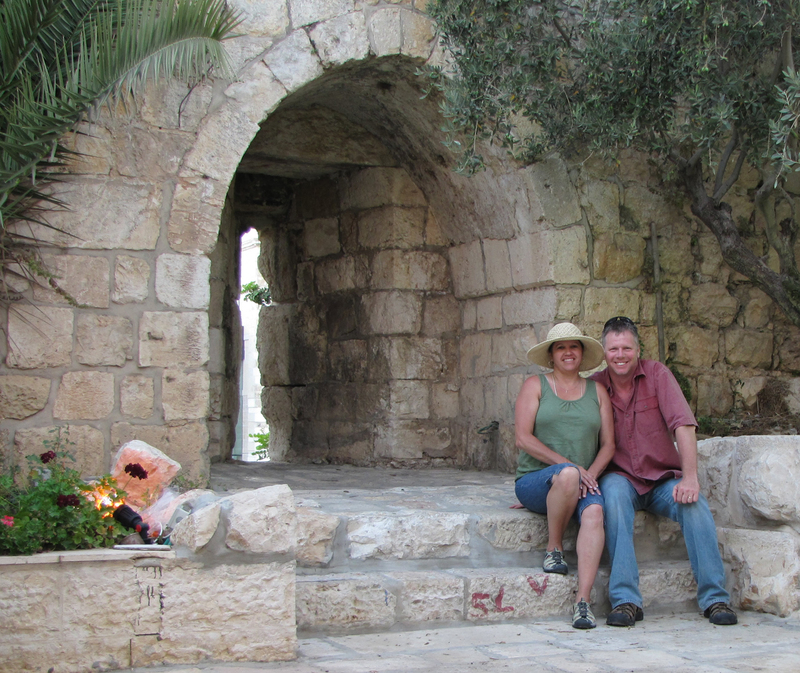 Who may stand in his holy place?" This man “will receive. . .
Shaba (Hb) – to swear (Eng) - The Hebrew word shaba means “to swear,” and “to take an oath.” Shaba is used as a reference to making a promise. But, the Hebrew word shaba indicates more than a promise, but that there are stipulations that must be met or there are consequences. In 1 Samuel 20:17 David and Jonathan make a shaba which includes expectation and contract like arrangements. I will speak with a clear heart. I will act with clean hands. 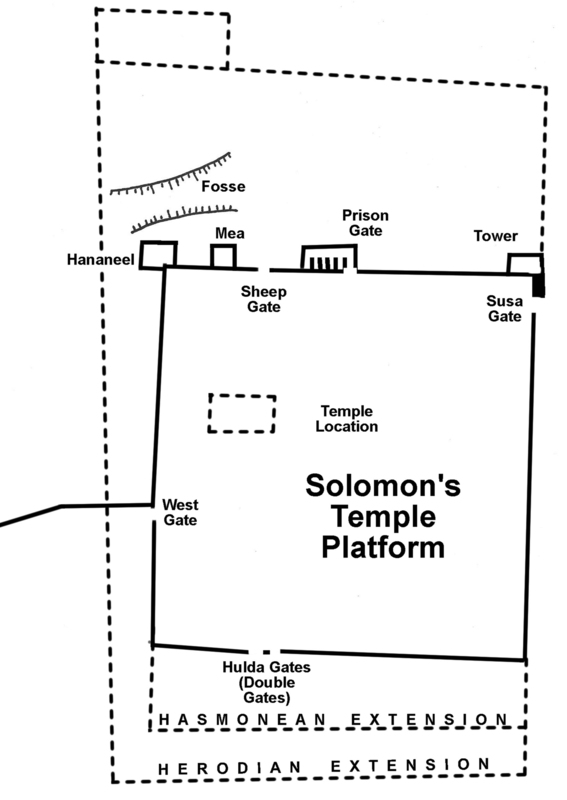 The Temple Mount area of Solomon's platform compared to the Hasmonean's size and the Herodian size after extensions were added. "Trying to do the Lord''s work in your own strength is the most confusing, exhausting, and tedious of all work. But when you are filled with the Holy Spirit, then the ministry of Jesus just flows out of you." All of the stones, both very large and small, for Solomon’s Temple and for the retaining wall around the Temple Mount were cut at the quarry and brought to the Temple Mount construction site ready for placement. The stones came precisely cut and were assembled together without the stone mason’s needing to hammer or chisel the stones to fit. This is recorded in 1 Kings 6:7, “In building the temple, only blocks dressed at the quarry were used, and no hammer, chisel or any other iron tool was heard at the temple site while it was being built. "It is not for kings, O Lemuel - not for kings to drink wine, not for rulers to crave beer, lest they drink and forget what the law decrees, and deprive all the oppressed of their rights." Rise up, Judge of the earth; pay back to the proud what they deserve. They crush your people, Lord; they oppress your inheritance. They slay the widow and the foreigner; they murder the fatherless. Take notice, you senseless ones among the people; you fools, when will you become wise? you grant them relief from days of trouble, till a pit is dug for the wicked. Can a corrupt throne be allied with you— a throne that brings on misery by its decrees? The Lord will call you back as if you were a wife deserted and distressed in spirit— a wife who married young, only to be rejected,” says your God. “Afflicted city, lashed by storms and not comforted, I will rebuild you with stones of turquoise,[a] your foundations with lapis lazuli. to them I will give within my temple and its walls a memorial and a name better than sons and daughters; I will give them an everlasting name that will endure forever. Israel’s watchmen are blind, they all lack knowledge; they are all mute dogs, they cannot bark; they lie around and dream, they love to sleep.